Vintage Jewelry in Boston | Jewelry Appraiser Favorites | Skinner Inc.
My favorite piece in the sale is this brooch depicting Alcatraz Island. I love the historical importance of the piece–it dates from the 1870s when Alcatraz was a fort rather than a prison. We do see Gold Rush jewelry from time to time, for example California turquoise and stones with pyrite veins, but a historical scene is an unusual find. This must have been a commission piece made for someone for whom Alcatraz and its fort had special significance. 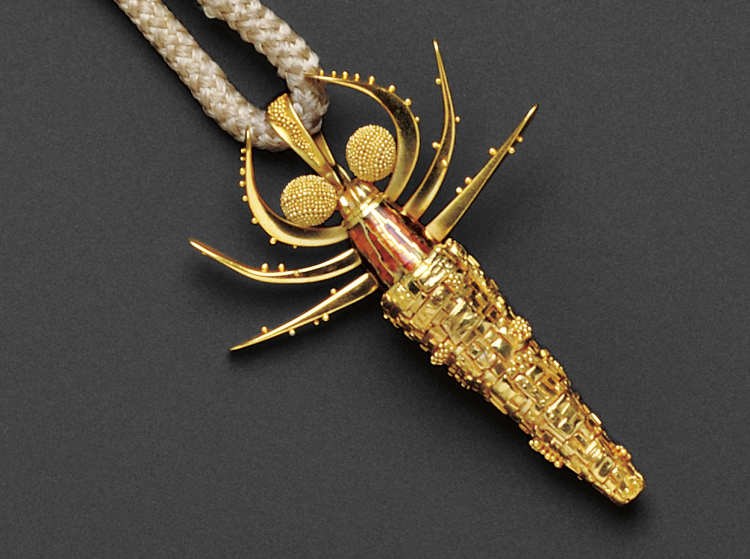 This is my favorite piece of jewelry in this auction. Coming from a jewelry-making background, I truly appreciate the craftsmanship of John Paul Miller’s work, his varying techniques of enamel and granulation, and the time and patience needed to achieve the beautiful qualities found in the final piece. John Paul Miller creates jewelry inspired by nature, and rarely do these fascinating pieces come to the auction market. We are very excited to offer two of his pieces in our December auction. Of all the gemstones including diamonds, rubies are my favorite, and it’s been a while since we’ve had a ruby like this at Skinner. What defines an important ruby is its color, size, country of origin, and whether or not it has had any enhancements (such as heat) to improve its looks. The ruby in this ring has everything going for it: the color is so lively and saturated it resembles those horribly sweet giant candy rings I used to wear as a kid; the stone weighs approximately 28.00 carats; its country of origin is Burma, where the finest and rarest rubies are mined; and it is a natural stone with no heat enhancements. I look forward to seeing this ring sold next week and to the next fabulous ruby to cross my path. My favorite item in the sale is “The Timken,” lot 750. 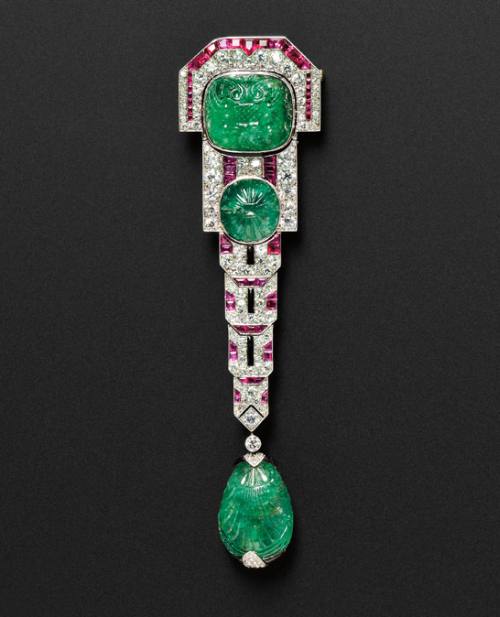 Besides being an extraordinary example of French Art Deco jewelry by Chaumet, this brooch reveals an interesting evolution in my life as a jewelry appraiser at Skinner. I first saw this piece seven years ago when the owners showed it to me for my opinion. They also showed me the original auction catalogue of when it sold in 1960 in The Lillian S. Timken Collection of Precious Stone Jewelry Sale. Of course I asked if it was for sale, and she said no. She just could not bring herself to part with “The Timken,” and confessed that she only wore it on Christmas morning. As events change the course of our lives, precious objects endure. We may hold on to something for a time, but no one owns a jewel like this forever. Now, fifty-two years later, I am so excited to be selling “The Timken” at Skinner. I wonder who will be wearing it this Christmas? Is it one of these four pieces of marvelous jewelry? Or do you have your eye on something else? Browse the catalogue here, and let us know in the comments. Happy Holidays, and we look forward to seeing you next Tuesday at our December Fine Jewelry Auction in Boston beginning at 10:00 am. 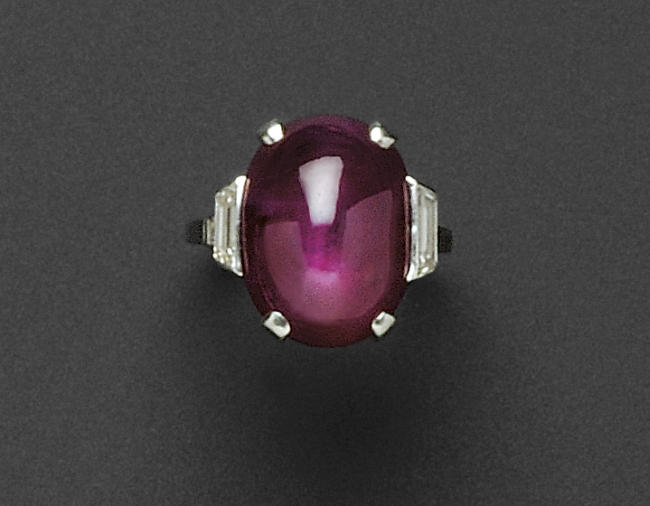 This entry was posted in Blog and tagged Alcatraz, art deco brooch, art deco jewelry, Auction Highlights, Chaumet, diamond ring, Fine Jewelry, Get Inspired, Gloria Lieberman, holiday favorites, jewelry appraiser, jewelry auction, jewelry auction in boston, John Colasacco, John Paul Miller, Julie Khouri, Keywords: vintage jewelry, ruby ring, Victoria Bratberg, vintage jewelry in boston by Victoria Bratberg. Bookmark the permalink. Wow my favorite piece of jewelry from the ones you showed above is “the timken” for the perfect arrangement of its components, the emeralds are stunning! I love this Pendant Brooch lactate.